Happy Tuesday friends! Just as a warning, this is going to be a bit of a photo dump but I really wanted to share some of the beauty of Orlando (and Florida) many people don't even realize exists. As you may have read yesterday, I spent Saturday out exploring the natural side of Florida. 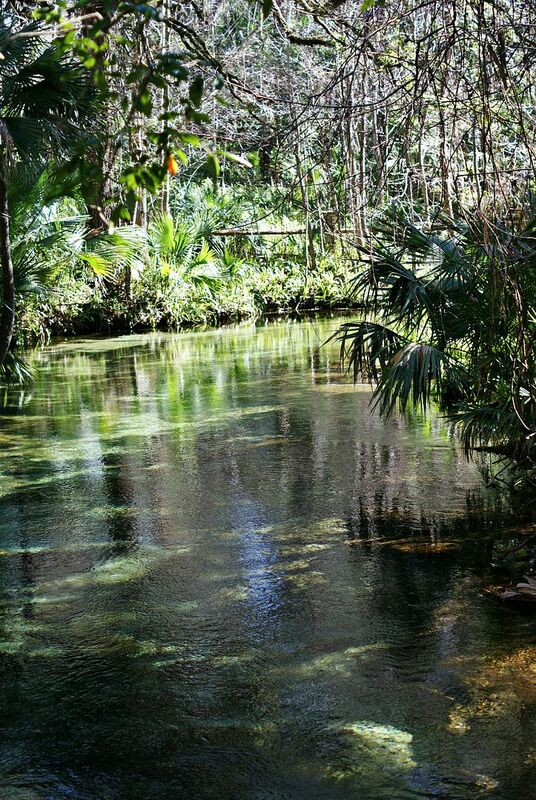 There are tons of natural springs in Florida many of which are located under 2 hours from Orlando. 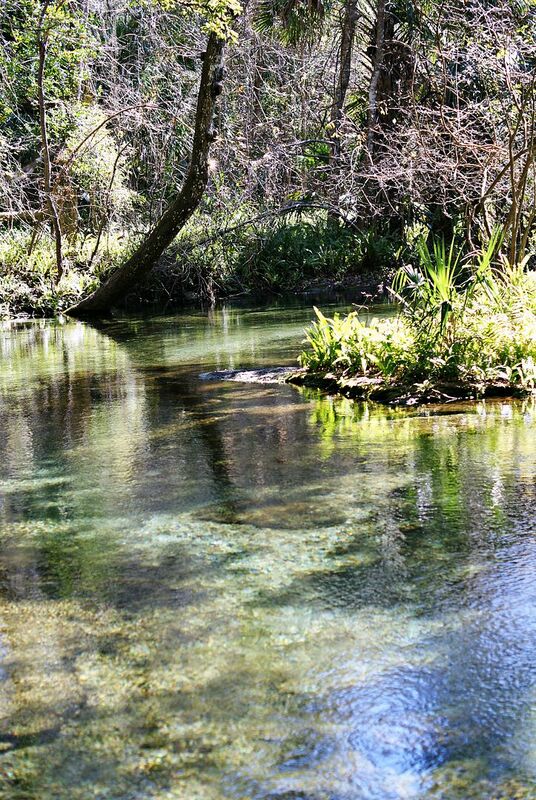 We originally wanted to head over to Blue Springs State Park, which is about 45 minutes from my house, but due to the park being near capacity we decided to head to a smaller spring, Kelly Park Rock Springs Run. 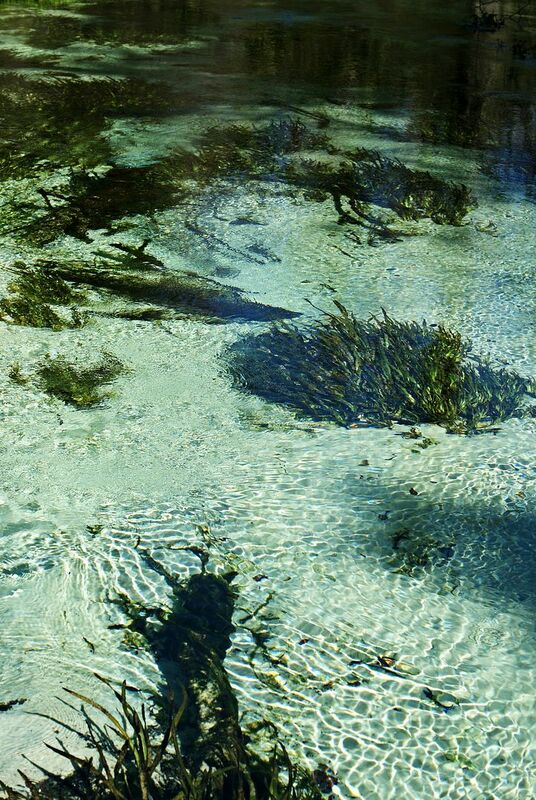 Rock Springs is located just northwest of Orlando and is known for it's free flowing crystal clear water and year round water temperature of 70 degrees. It's a popular place in the summer for tubing and swimming and it also has grills and picnic tables to enjoy a nice meal out at the spring. The park opens at 8 am and in the summer I highly recommend getting there early as the park does often fill to capacity early but since we went during the winter we were able to get there around 11 am and have most of the park to ourselves. It's a $3 per vehicle entry fee with 1-2 people or $5 for 3-8 people. 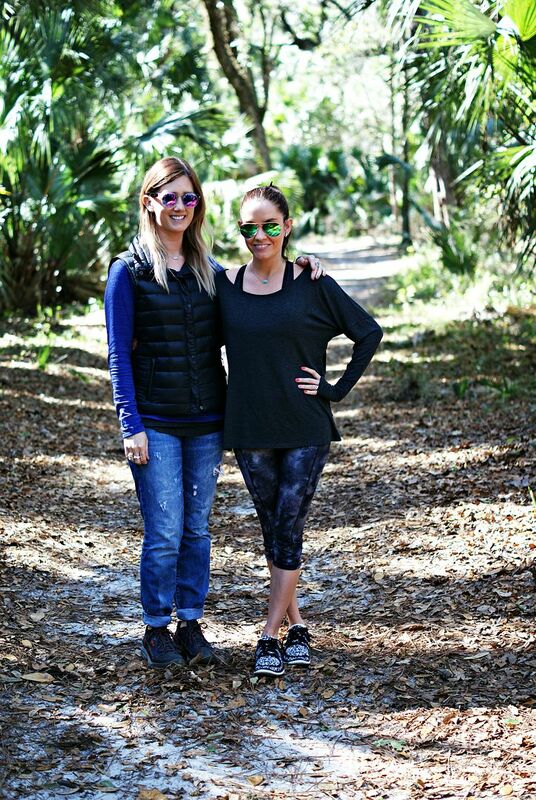 Since it was a bit too chilly for these Floridians to get in the water we took advantage of the nature trails throughout the park which often lead to the gorgeous blue water of the springs. 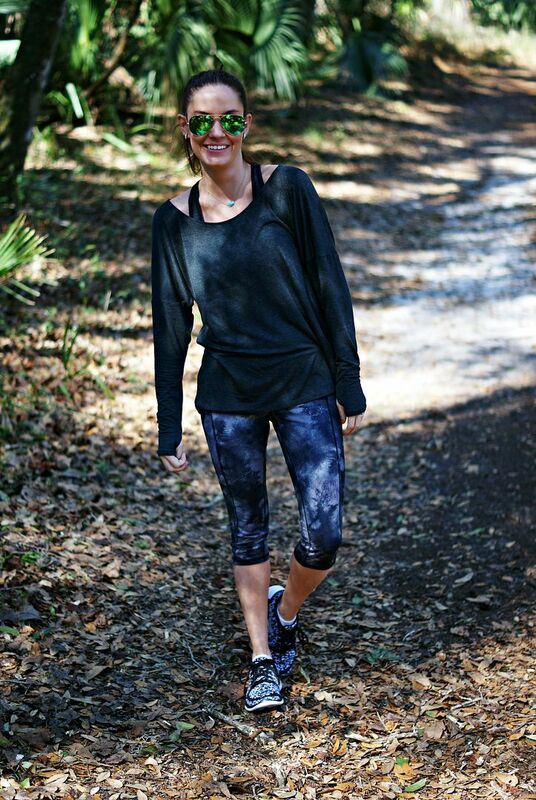 The weather was a perfect 70 degrees and slightly breezy when we went out for our hike so I decided to take advantage and rock my new workout top I posted about on Friday paired with my favorite capris. The low back of the top made it perfect to wear my cute sports bra. It looks incredibly like the lululemon Free to Be Bra but a fraction of the cost and it's incredibly comfortable. I topped of my look with my cheetah print Nike Free 5.0 sneakers which are super lightweight and perfect for walking and running. It looks gorgeous...and you are so right, people dont associate Orlando with nature! That water is incredibly beautiful! That looks like the best place to walk or hike! Love that top!! And what a beautiful place to go explore. You know I"m alllll about nature and hiking. Such pretty pictures! What a beautiful location!! A great alternative to the Florida beaches!! Love your shoes!! Gorgeous! I want to get on an airplane right now and go there. We just got 10 cm more snow!! This is such a beautiful spot! LOVE that this is a F21 sports bra! I followed your fun outdoorsy day on snap- it looked like a blast! that area makes me think of back home--i grew up a few hours north of orlando, but the scenery makes me think of it. what great spots to explore. Love that sports bra! It looks lululemon! Looks like you had a great adventure! Oh wow, it's GORGEOUS there!! Gosh, I miss greenery, ha ha! What a perfect, perfect day to go hiking! So pretty!!! I love exploring new parks and hikes. This is such a gorgeous setting - I'd love to get a workout in at a place like this! 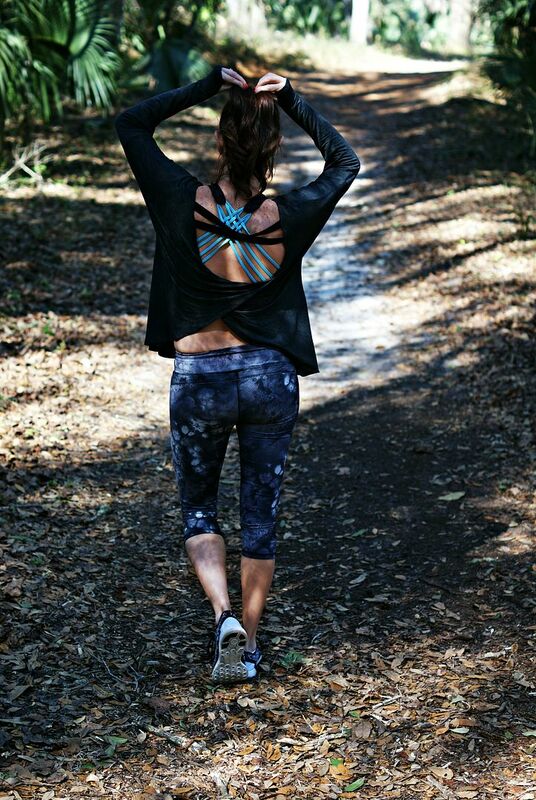 Love the back of your top too - so cute! Orlando and the surrounding areas are really beautiful especially the untouched natural Florida beauty like this! Loved reading this post! Such a beautiful way to spend a day and get some exercise. I never thought of Florida having those types of parks, and it's so pretty!! So gorgeous! I love all the water shots. That bra is super cute too! Perfect bra for an open back top! I love the look and of course the pretty nature we have to explore. That bra is so cute, and it's perfect for the open back shirt you're wearing! I also love the price too, and that it's so similar to the Lululemon one! 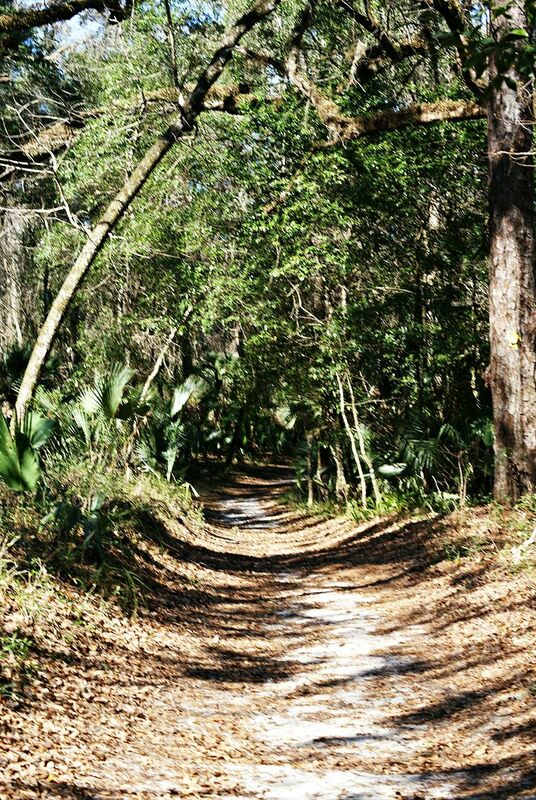 All people generally think of when they think of Orlando is theme parks, but it looks like Orlando has some pretty stellar nature areas as well! Y'all picked the perfect day to visit! I just love the springs! Kelly springs is my favorite! That's where we had our engagement pictures taken! You look so cute! Love those leggings! Such a beautiful day and beautiful pictures!! I had no idea Orlando had such places like this. Beautiful pics and I love the outfit! Truly showing a side of a city you wouldn't know existed! What a gorgeous place! I never would've guessed that Florida has places like that. 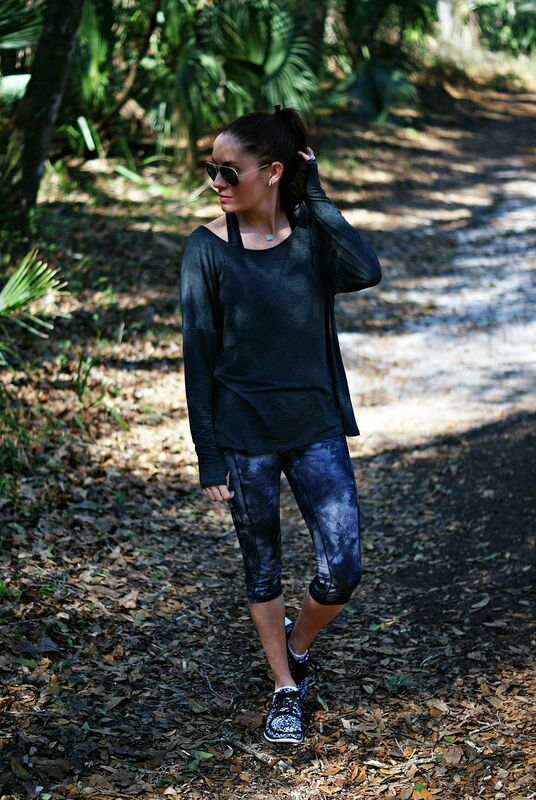 Loving your top and sports bra, too - Forever 21's athletic wear is so cute! Seriously why am I NOT in Florida right now?! Once again, LOVE that sports bra!! Forever 21 always saves the day :) I want to explore AZ more. Not as gorgeous as FL but there is still some desert beauty! Loved your snap stories of this over the weekend! You know part of my heart is in Orlando!! This post killed me! ;) Wish I was there! Love the bra/open back shirt you're rocking too- so perfect together! This place looks gorgeous girl! 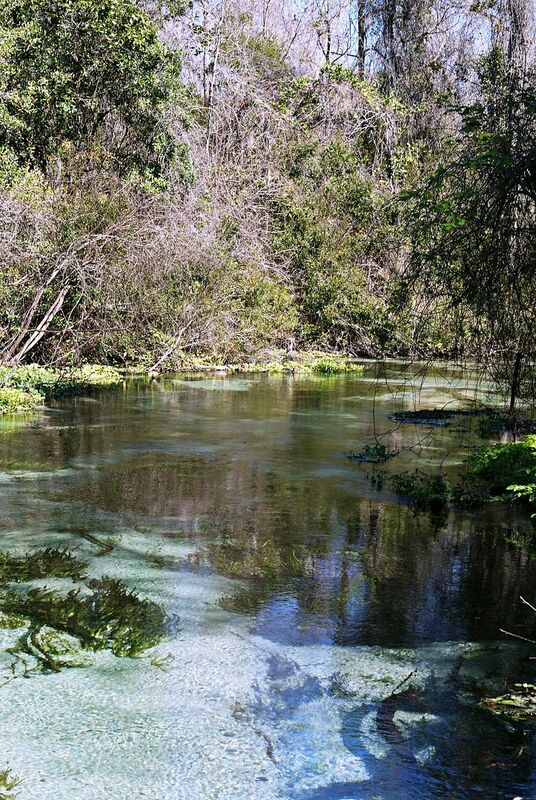 I wish Chicago has someplace to hike with springs, such a pretty perspective of FL! Gorgeous pictures!!! What a fun way to spend the day! yeah i had no idea there were places like this in Orlando, or close to. this is amazing, absolutely gorgeous. and your outfit is fabulous! love the top! the place look so relaxing! Oh it looks so warm and green there!! Thanks for sharing! I LOVE that workout top! !